Don’t face grief alone. Our aftercare services help families deal with the loss of a loved one after the funeral. At Geib Funeral Home & Crematory, we want to support you in the grieving and healing process. Everyone responds differently: Sadness, denial, guilt, and sleeplessness are all symptoms of mourning. We encourage families to participate in community support groups or seek professional private counseling. Our staff can recommend the top specialists in our area. Whether you have lost a sibling, spouse, friend or parent, our staff can provide useful information on how to heal. 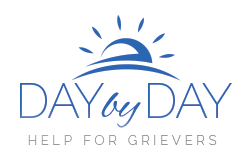 Geib Funeral Home & Crematory has an extensive grief library with resources on how to cope with death and rebuild in the weeks and months after your loss. Because we care about the well being of every family we serve, you will receive continuing care and support through our Circle of FriendsTM program for a year following the funeral. You can sign up to receive this monthly grief and recovery newsletter directly to your email inbox. The newsletter is full of great information, stories, poems, and inspirational quotes that will help you during this difficult time. Your privacy is important to us. We will never sell or use your email address for any reason except to provide this valuable information to you. Thank you for your interest in our Circle of FriendsTM e-newsletter series. Click on the button below to sign up for our Circle of FriendsTM program.